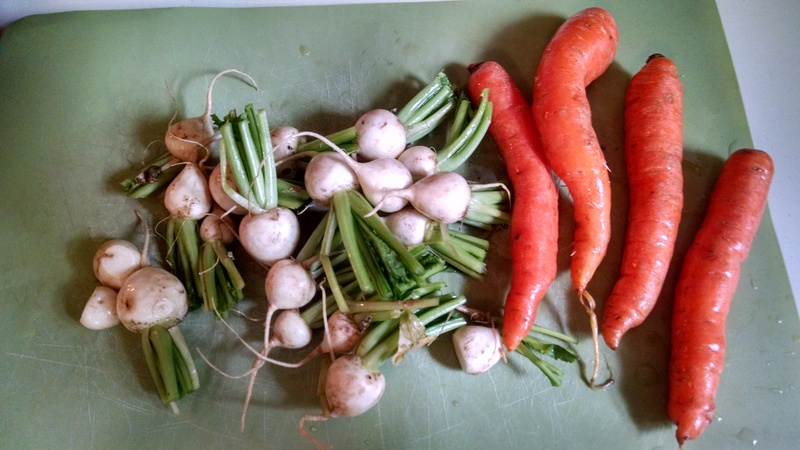 We have been blogging all summer about our farm shares and sadly, for one of us, the farm share will soon be ending for the season. Heather’s share was part of a seasonal experience; she paid a one time fee for a finite number of weeks from one farm and now it’s winding down. Holly’s farm share is a year round experience; she pays bi-monthly for a share that incorporates several local farms contributing to her bounty. Holly can also choose the size of her share – small, medium and large – while Heather’s is one large bag. The beauty of the year round share is who knows what you’ll get in the winter months! Preserves? Pickled items? Greenhouse farm food? Holly will have to let you know! For now, here’s another delicious recipe with farm fresh ingredients! 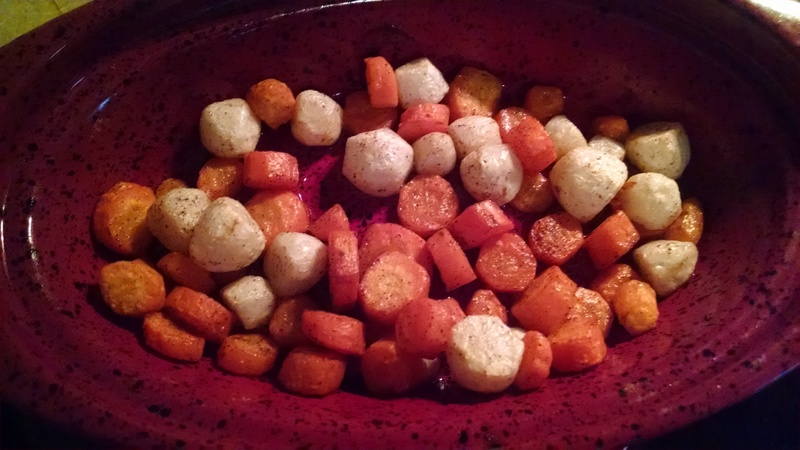 Peel and cut the veggies, toss in a small stone casserole dish with olive oil, cinnamon and a dash of honey. Bake for 20 minutes at 350 degrees. It’s a tasty side dish! Yummy 😋! Will be excited to see what you get in the winter months! Yes, the recipe does look yummy and I will try it. By the way, did you know we have a CSA organic farmer in the family? Matt Hand has a farm in Flemington, NJ, called Hand Picked Farm. Matt’s mother is your dad’s cousin, Stephanie. So cool Pat! It must be a lot of hard work to farm organic.